Available from iTunes, Amazon, cdbaby. 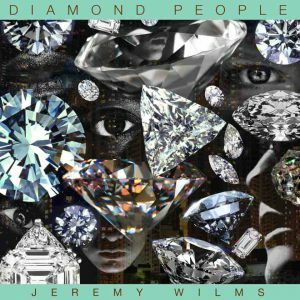 If I first say Jeremy Wilms is a music polyglot, you’ll be better able to understand the mad nature of his eternally shifting debut CD, Diamond People. In a busy life, the gent composes classical and jazz music (both of which jump headlong into prog more than once); sings (but not here); plays guitar, bass, and keyboards (but restricts himself to guitar on this disc); produces electronica albums; writes film scores; spent time playing for Chico Hamilton; was inducted into futurist Butch Morris’ conduction ensemble; has worked with Lee Renaldo of Sonic Youth; and about a billion other things. Copyright © 2019 Jeremy Wilms.